Dr. Scott Carter: There's only one decent thing left for you to do: turn yourself in. Peter Ingersoll: Decent thing? That's insane! Dr. Scott Carter: I'll be behind you all the way. Peter Ingersoll: Oh, sure you will. A mile behind me. OK, but not Jerrys best work. I saw this film for the 1st time at age 10 and I just loved it. My 11 yr. old loved it too. Jerry tries a bit different role here. 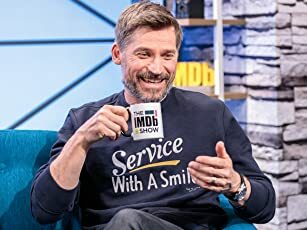 At first he's a more believable, realistic person, probably tired by now of playing a lovable but bumbling idiot, then as the movie progresses, he starts to slip back into his more lovable, funny guy, routine on his fishing trips. The whole story is told to a group of doctors by Jerry and you wonder what landed him in a hospital all during the movie. 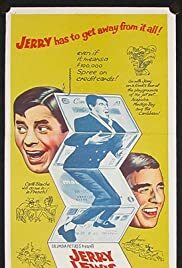 The ending reveals it and is surely slap stick humor, but leaves you smiling and wanting another Jerry Lewis film to watch. I noticed the Bewitched set instantly, even at age 10. Good movie just not his best!